America’s Independence Day is celebrated on July 4. On this day in 1776, the Continental Congress adopted the Declaration of Independence, which proclaimed independence from Great Britain and its king. It took several more years and a lot of fighting until independence was finally won, but July 4 is the day we celebrate our country’s birth. 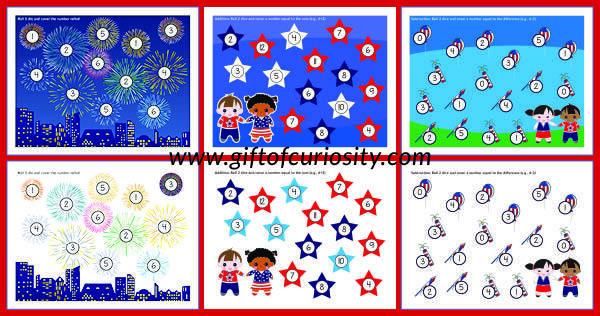 As you gear up for Independence Day celebrations, I am pleased to add another patriotic printable to my collection of 4th of July printables. 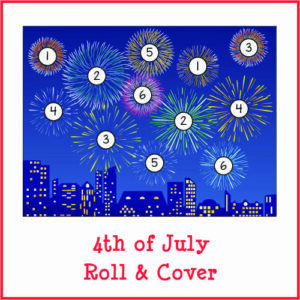 Today I am releasing my 4th of July Roll & Cover Math Games printable. 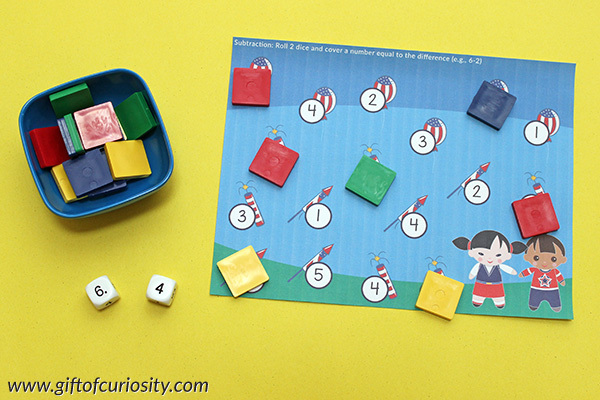 This printable includes three game levels that support number recognition, simple addition, and simple subtraction skills. 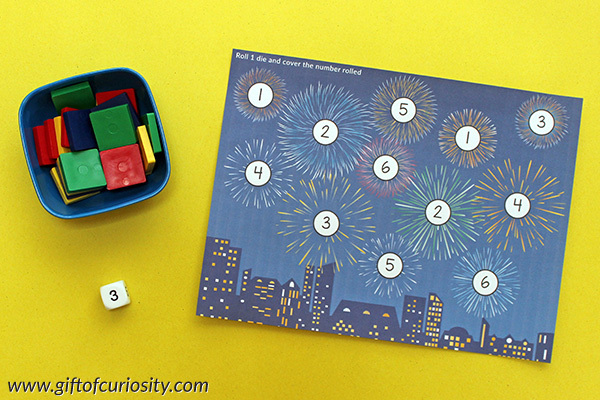 This is a wonderful learning tool for your preschooler, kindergartener, or first grader who is working on these important early math skills. 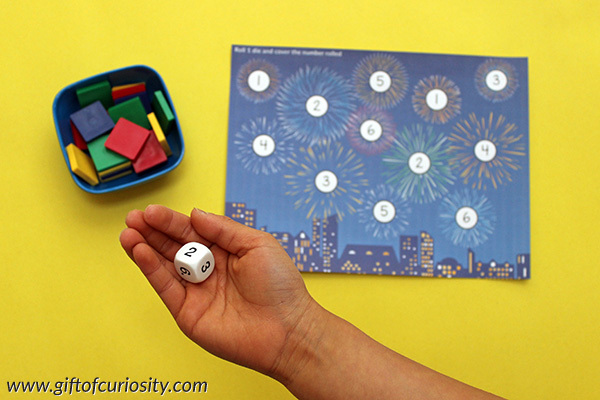 To play, kids begin by rolling the die. 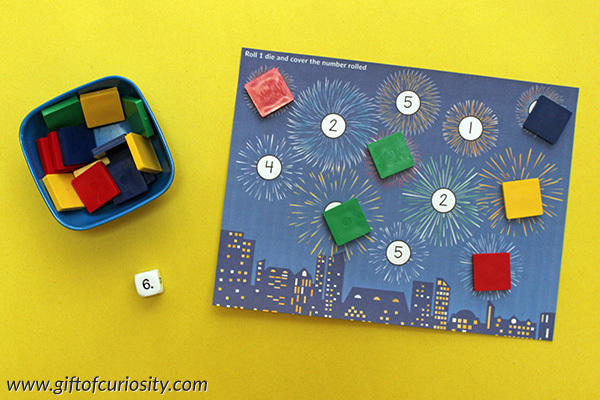 Then they place a small object – on this day we used small tiles, but you can also use buttons, coins, small candies, etc. – to cover the number that was rolled. They keep rolling the die until they have covered all the numbers on the playing board. 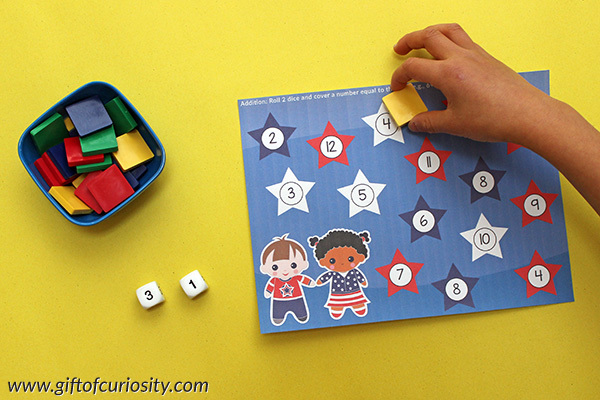 The star-themed playing board uses two dice to help children practice basic addition with addends 1 to 6 (giving sums 2 to 12). 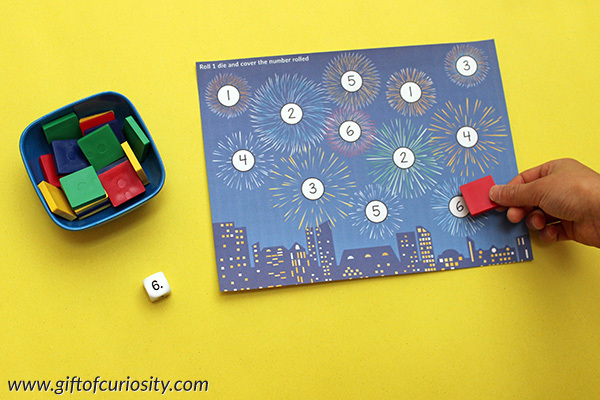 And the fireworks-themed playing board uses two dice to help children practice basic subtraction with differences between 0 and 5. All three versions come with both a colored background for good looks and a white background for saving on printer ink. 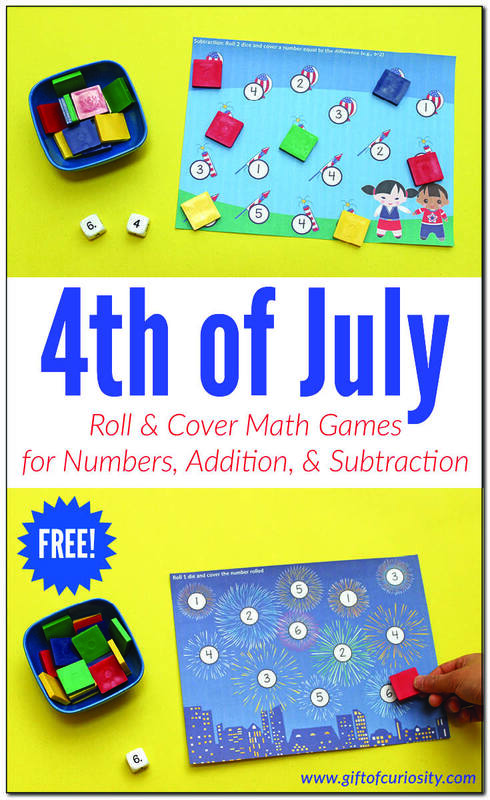 Want a copy of my 4th of July Roll & Cover Math Games? Add this free product to your cart!